Who done it? ...and why? If you could sum up Blast from the Past in three words, what would they be? What other book might you compare Blast from the Past to and why? Gnarly of course! For humans, I'd have to say Bogie. Just when you thought you've outrun your past, you turn to find it standing in front of you! This was a fun summer listen. The characters were rich and engaging. The voice talent does not disappoint. 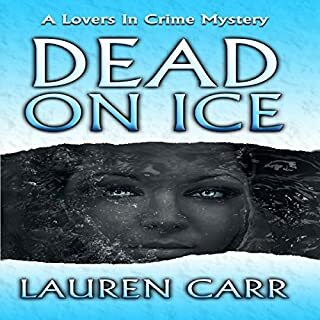 Another great one from Lauren Carr! Mac Faraday is funny, action packed, and has a love story too! I couldn’t put this one down. You get to learn more of the backstory of the main characters. And of course my favorite character is the dog! 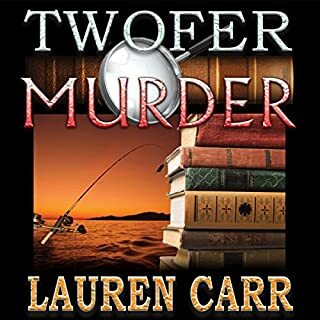 Mac Faraday series is one of my favorite series by Lauren Carr, and this book is awesome! I love how this story filled in Archies past, and how her future was threatened. Add in the mob, and its added excitement. Gnarly continues to steal many scenes in this book. I found myself captivated by the story, and was guessing who the killer was. I love unpredictable and original stories. Dan Lawson did this book justice with his performance. He is a new narrator to me, and I really liked his delivery and voice. 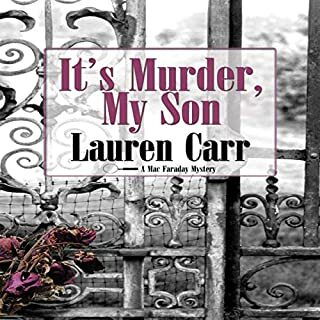 I will definitely listen to more books by Lauren Carr and Dan Lawson. Note: Even though this is Book 4 in the series, it works just fine as a stand alone. 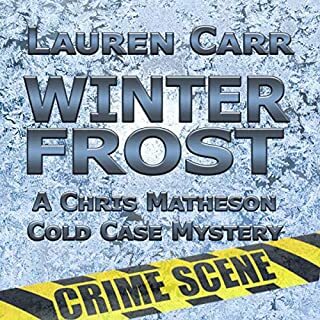 Set in Spencer, Maryland in the Deep Creek Lake gated community, retired DC cop Mac Faraday is about to be hip deep in organized crime and federal protection agents. Tommy Cruze is out of prison after several years and his search has finally turned up the witness that put him behind bars. He’s come to Spencer to hunt her down. This was a great addition to the series. We finally have something more to Archie Monday than her efficient nature and love of pink. She witnessed a serious crime many years back and had to testify and then go into federal protective custody. That meant saying goodbye to her entire past and becoming the personal assistant to Robin Spencer, a renowned mystery writer and Mac’s true birth mother (who gave him up for adoption). Now all that has to come out and Mac’s both a little hurt that Archie hadn’t told him before and also feeling very protective of her, as two of Cruze’s men have already made an attempt on her life. Lucky for Archie, she took the time to become a proficient shot. 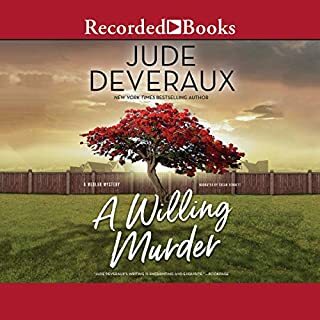 Things get even more convoluted when a poisoning occurs at a dockside cafe where a woman and her daughter, who also happen to be in federal protective custody, work. Leah and her young daughter Sari move into the big Spencer Manor for protection while all this gets sorted out. Randi Finnegan was a fun addition to the story. Mac’s half-brother David O’Callaghan has caught the eye of the federal agent but Randi isn’t sure he’s interested at all. She’s prickly and not a beauty and she knows it. So she focuses on the job and she’s good at it. I liked the potential of something blooming between these two. There’s potentially another murder at a B&amp;B. Initially, it looks like a very sick woman stumbled and fell down the stairs, but Mac and David look deeper. 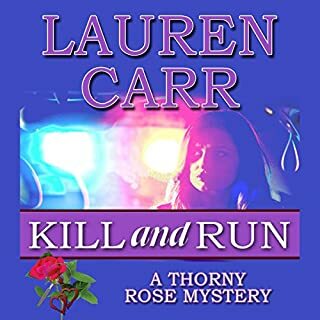 Yet another death occurs outside of a restaurant in town and the police have to consider if this one is linked to Tommy Cruze and his second in command. Indeed, it seems Spencer is full of killers this season! Mac, Archie, and David have their hands full untangling this one! I really enjoyed watching them dig down to the roots of these cases and figure out which were related and which weren’t. Meanwhile, Gnarly was keeping the little girl Sari company. This was so sweet and so cute that it was almost too much. Like a sweet lemonade, sometimes the sugar can just be too much. Luckily, those scenes were sprinkled throughout the story so it wasn’t a turn off. The Narration: Dan Lawson rocked this book. There have been a few narrators for this series and Lawson is my favorite so far. He has a really good range of voices, his female voices are believable, he does the little kid Sari really well, and he even has believable accents (both foreign and regional). I was impressed with his performance on this book. Where does Blast from the Past rank among all the audiobooks you’ve listened to so far? I have not listened/read that many audio book as of yet, however Blast from the Past would have to be one of my favorite ones so far. I felt like Dan Lawson did a great job bringing the characters to life with his voice. What was one of the most memorable moments of Blast from the Past? For me the most memorable moment in the Blast from the Past was when Mac got a call from David to tell him that one of the police cars had been stolen. This was a memorable moment for me because I felt the same confusion and shock as Mac at being told that a police car had been stolen. It was also the beginning of the fast paced plot. What does Dan Lawson bring to the story that you wouldn’t experience if you just read the book? I felt like Dan Lawson did a great job bringing the characters to life with his voice. 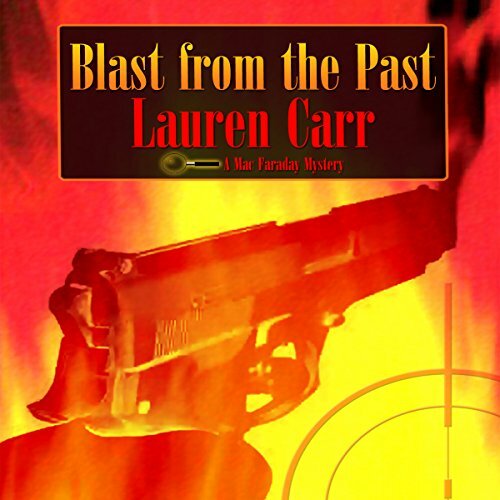 I personally felt like the Blast from the Past as well as the rest of the Mac Faraday Mystery books would all make for a great movie. A great tag line for the blast from the past would be Gnarly and Crew vs mobsters! This is a great audiobook for a road trip. I really enjoyed listening to the story unfold over a long drive this summer. The dynamic between Mac and his half-brother David is very compelling. I hope to see future development along this storyline. Dan's performance is excellent at bringing the characters to life while still keeping the narative grounded. The wide range of characters with different accents and distinct personalities helped me keep the story straight.